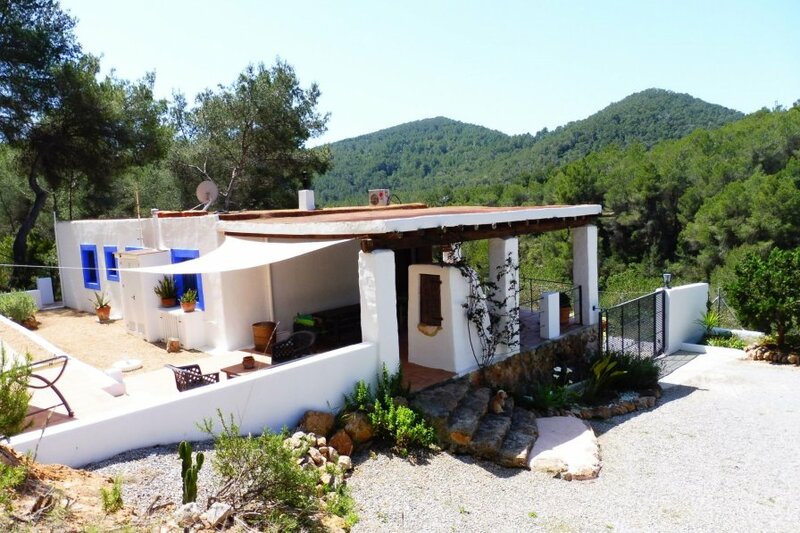 Beautifully located finca, with beautiful views over the mountains. The ideal holiday destination for those who love peace and quiet, but also in a few minutes the hustle and bustle of the city . The nice decorated casita has an open kitchen and nice living room with fireplace and open doors to the terrace. On the covered terrace you can enjoy a breakfast with the beautiful view. 10 kilometers away is Ibiza Town and to the other side 8 km the cozy village of Sant Josep with fine bars and good restaurants. Also the beautiful beaches of Salinas and Cala Jondal are around the corner and many famous (Beach) clubs can be reached within 15 minutes. This finca with its thick walls remains cool in the summer so no air conditioning is necessary. A finca to stay immediately to be living there ! !